People often believe this myth when they come in for their laser surgery examination. Laser surgery makes the anterior surface of the cornea flatter in minus glasses and more rounded in plus glasses; cataract surgery, however, is the removal of the diseased lens and its replacement with an artificial lens. Thus, laser surgery can be performed before and after cataract surgery. 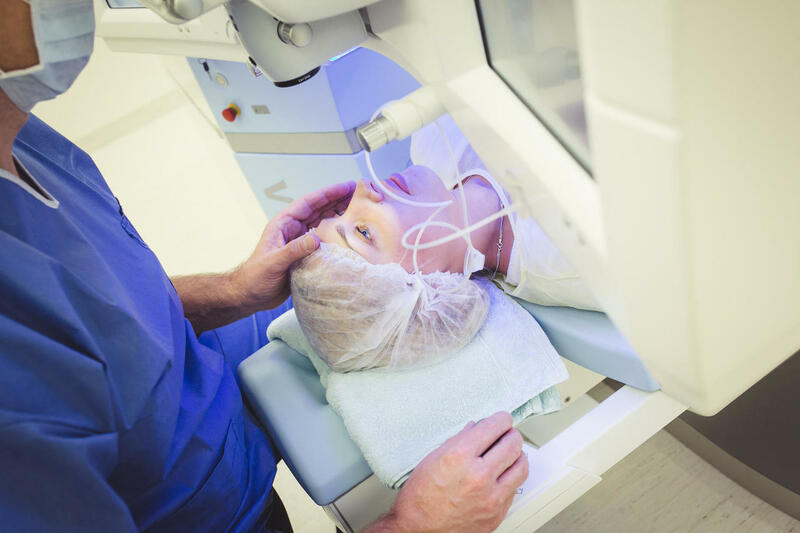 It is very important to inform the eye surgeon of any previous laser surgeries before cataract surgery. During cataract surgery an artificial lens is implanted in the eye, the optical strength of which is calculated on the basis of the length of the eye and the roundness of the cornea. Unfortunately, the majority of devices use only the front surface of the cornea curvature for measurements and the calculations presume that the posterior curvature radius is an average of 82% of the anterior. For people who have undergone laser surgery it is no longer so and the result is different eye optics and a need for glasses.